I always wanted to cook a whole cauliflower after reading about the possibility online. Alon Shaya from the Domenica Restaurant in New Orleans first did this; this is my take on his recipe. 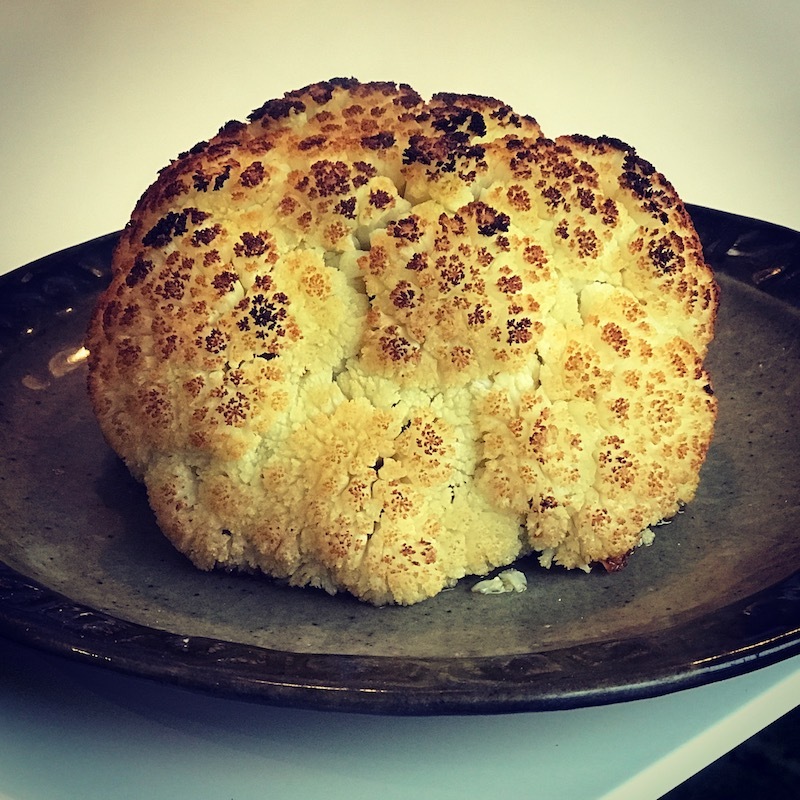 The idea is that you simmer the cauliflower gently in water, to which you might add a few things to impart extra flavour, then drain it and carefully transfer it to roasting pan, and finish it in the oven, where it browns and develops a delicious nutty flavour. Bring the first nine ingredients to a boil in a large pot. Lower in the cauliflower, turn the heat down, and simmer, turning occasionally, until a knife easily inserts into centre, which should take 15-20 minutes. 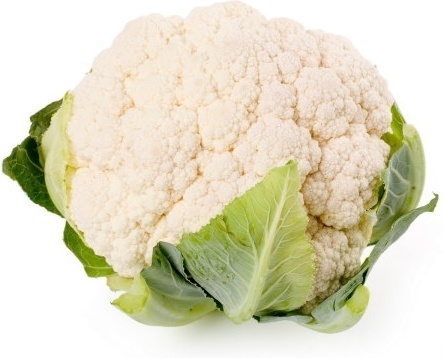 Carefully lift the cauliflower out into a roasting dish and mop up any juice. Roast until brown all over, approx. 30-40 minutes. Turn the dish round if the browning is uneven. Take out of the oven and serve whilst hot. Recipe source: nola.com with minor changes.